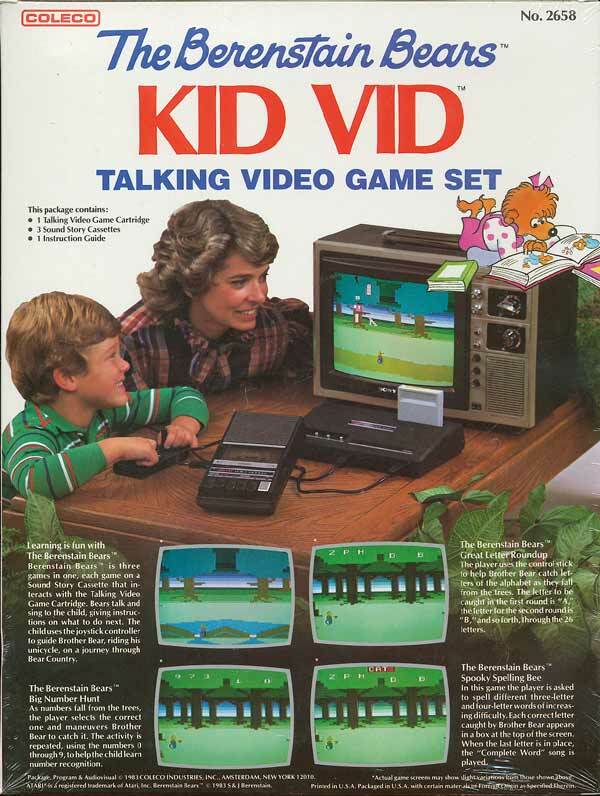 Back cover of the 1983 Berenstain Bears package (Image from Atari Age); notice the game system shown is the short-lived Coleco Gemini, an Atari 2600 clone. 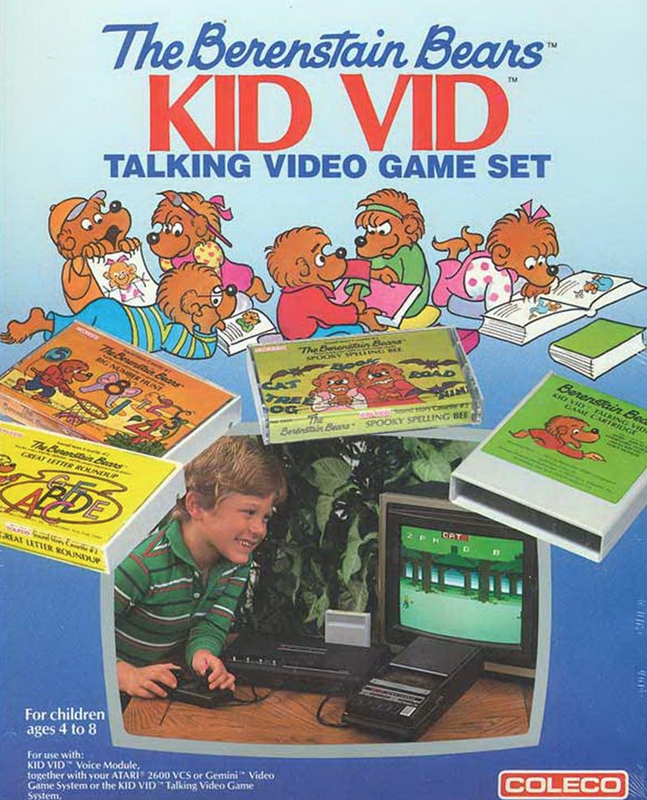 Front cover of the Coleco Berenstain Bears game pack (Image from AtariAge); a prototype for ColecoVision was developed in 1984 but never released. The single most valuable piece of Berenstain Bears memorabilia is arguably the infamous Berenstain Bears Atari 2600 game made by Coleco in 1983. It was the first Berenstain Bears video game, and was very nearly the last, due to the disastrous debut of the “Kid Vid” accessories that were required to play the game. 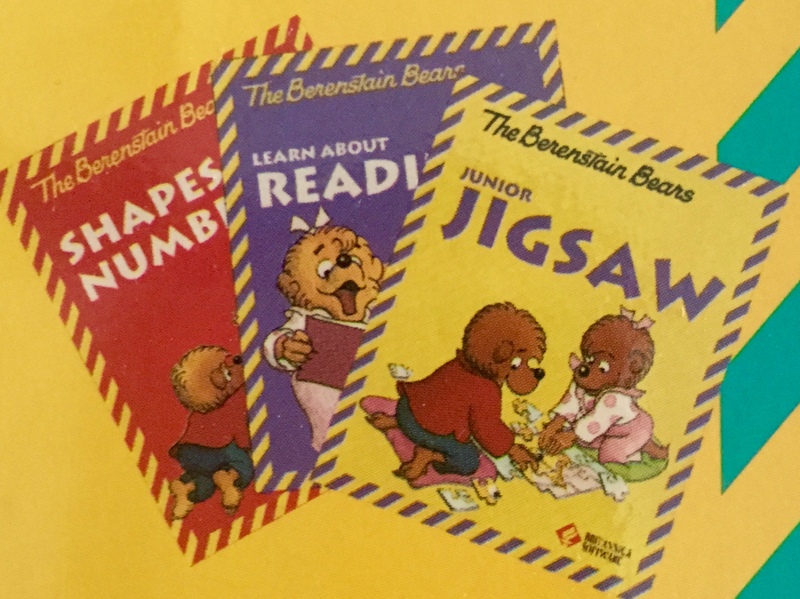 5.25″ floppy disks for “The Berenstain Bears Junior Jigsaw.” It was one of several titles published by Britannica/Compton’s New Media in the early 1990s. 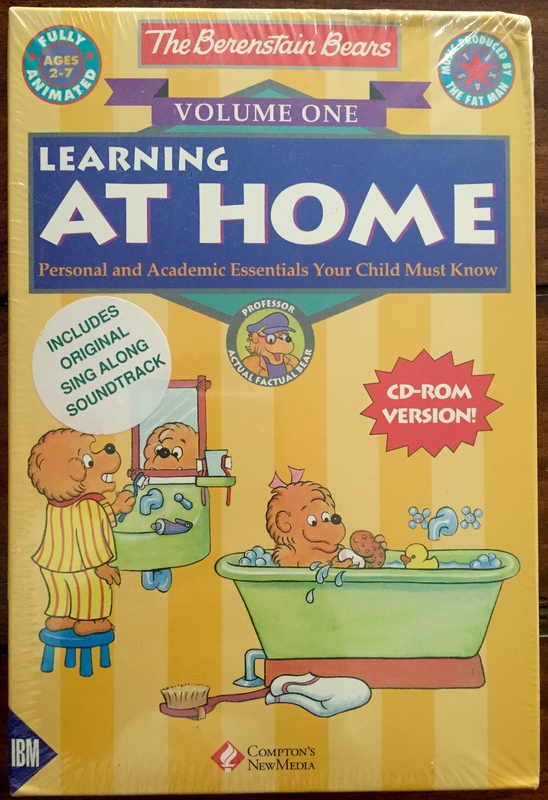 Compton’s New Media issued two volumes of “The Berenstain Bears: Learning at Home” on CD-ROM. 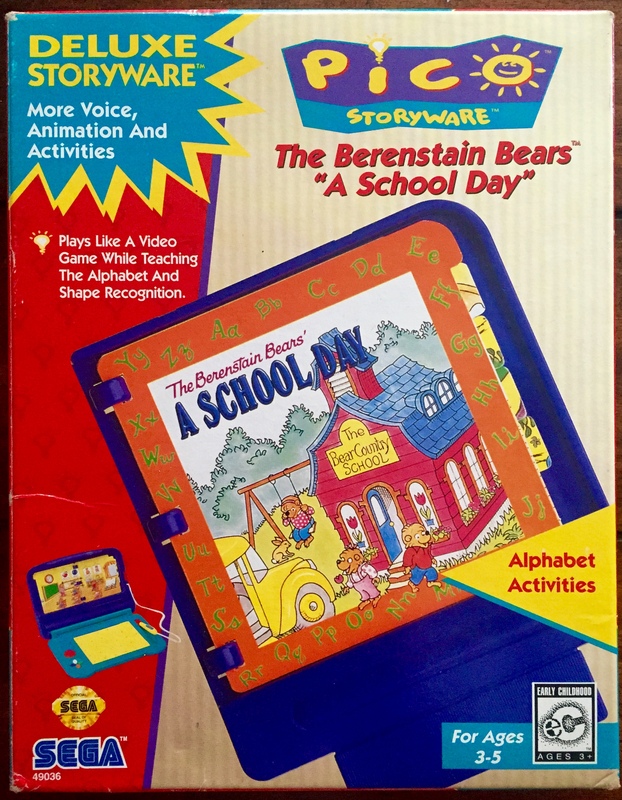 Educational software was a big focus of the Berenstains during the 1990s and 2000s. Beginning with software titles for PC/MS-DOS operating systems, titles like “Learn About Counting” and “Learn About Letters” were published on 5.25″ and 3.5″ floppy disks. It was in the mid-1990s that the Berenstains waded again into the waters of console video games. The Berenstain Bears were featured on several platforms including Sega Genesis (“Berenstain Bears Camping Adventure”), Sega Pico (“Berenstain Bears: A School Day”), Nintendo Game Boy Color (“Extreme Sports with the Berenstain Bears”), Nintendo Game Boy Advance (“Berenstain Bears and the Spooky Old Tree”), and Sega Game Gear (another version of “Berenstain Bears Camping Adventure”). 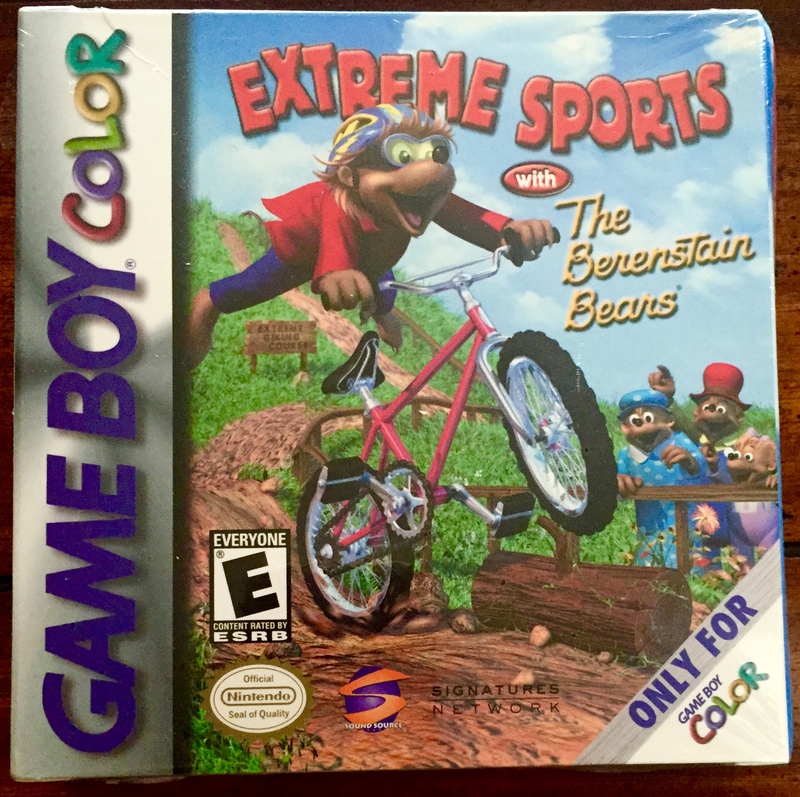 “Extreme Sports with the Berenstain Bears” was even named on the “20 Worst Video Games Ever Made” by Electronic Gaming Monthly. And while I’ve never played it, I do have to admit, I don’t really think of the Bear Family as the sort of characters who would have a great interest in or excel at extreme sports (as popularized at the time by the recently-developed X Games). “Shapes & Numbers” and “Learn About Reading” are advertised on the back panel of this “Junior Jigsaw” software package, but there is no commercial record of their availability. Most likely, these prototypes were never brought to market. Below is a full list of Video Games and Computer Software in my collection. Also be sure to check out my related post about Berenstain Bears Board Games, Card Games, and Playsets.